An Article about my trav­el in THE NEW YORK TIMES! I nev­er thought that this would ever hap­pen. The beau­ty here is not nec­es­sar­i­ly for every­one. Pounded by up to 170 inch­es of pre­cip­i­ta­tion each year, these grand old woods are wet­ter and gray­er and gloomi­er than most. Then again, not every sum­mer trav­el­er seeks sun­shine. 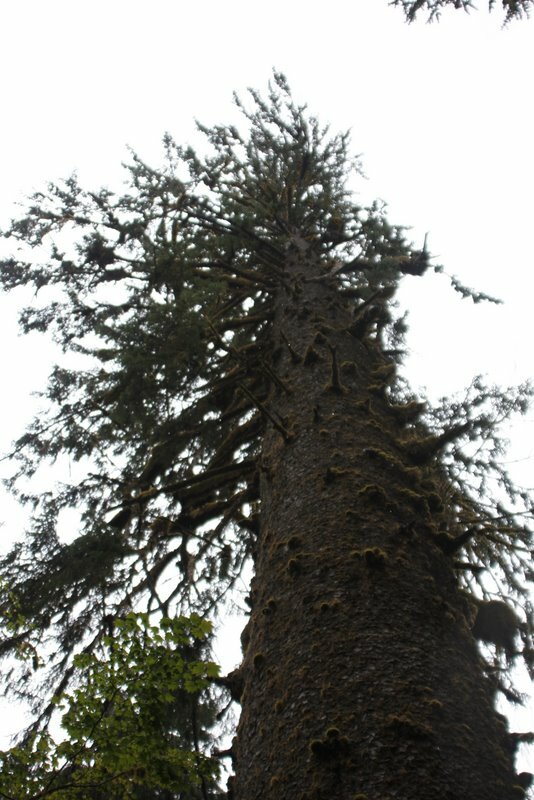 “I want to under­stand Earth,” said Ruth Lotter, inter­rupt­ed while focus­ing her cam­era on one par­tic­u­lar­ly large and dex­ter­ous root sup­port­ing a big spruce tree. The mix of mys­ti­cal and triv­ial makes Ms. Lotter gig­gle, and she gig­gles well. She is 49 and Austrian and she likes the road. She fell in love with the California Redwoods 15 years ago and is cer­tain she was trans­formed by a trip to study stro­ma­to­lites — ancient rock struc­tures that form in shal­low water — in Australia two years ago. She also had a remark­able moment near here this sum­mer. She was at Cape Flattery, the north­west­ern-most point in the con­tigu­ous United States, and she had been wor­ry­ing about being sad. Then she decid­ed to stop wor­ry­ing. That got her gig­gling again. It was rain­ing as she spoke. “It’s fun­ny that it’s rain­ing in the rain for­est,” she said. Read the com­plete sto­ry in the New York Times!